It’s hard to look at the devastation of Hurricane Sandy. It’s always heartbreaking when people lose their homes and loved ones as in Katrina and 9/11. And Sandy is no different. The marathon didn’t happen. You can read everyone’s opinions and reasons elsewhere because I’m tired of talking about it. 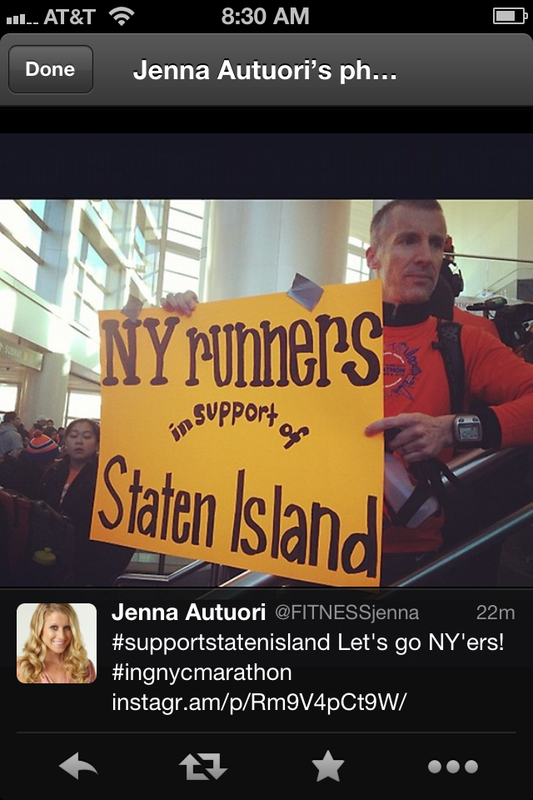 What I want to acknowledge are the approximately 1,000 runner volunteers who took the train and ferry to Staten Island bright and early on Marathon Sunday (many in their organe marathon shirts) to go door-to-door on their feet with supplies, helping hands, and open hearts. 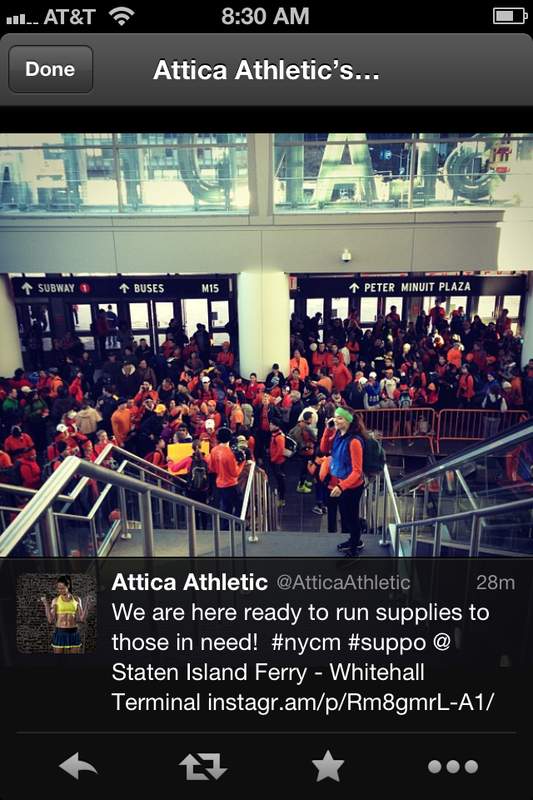 I couldn’t be there with my fellow runner volunteers (recovery + fever = stay home, dummy). But I did what I could to share the story on Twitter with news outlets and show everyone what these people were doing and how they, too, could help. Lending a hand wherever they could. Going on foot with only the supplies they could carry and a willingness to help. This is how runners do it. I can attest to having fallen during a race (Philly Marathon ’11) and being picked up immediately by three large male runners before I knew I was on the ground. We pick each other up, it’s just the way we role. And my friend Jen lost everything. 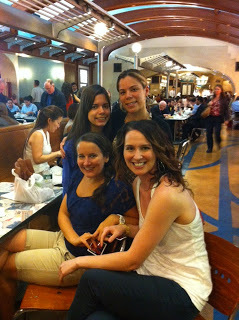 We’re runners, so naturally all of our meet-ups revolve around food. Jen is directly above me on the top right. Jen is a runner. She was supposed to be running the marathon on Sunday. Instead, she and her husband were sifting through the wreckage of their home on Staten Island for whatever was left to salvage. It’s not much. They lost everything. They have two small children (boy, age 7 & girl age 2 going on 3) and no home, no belongings, no clothes, no nothing. I can’t rebuild houses. I can’t physically help people clean up. I can’t run and raise money at the moment. But I can help Jen’s family. One family at a time, we can help. Jen, Pedro, & their beautiful family. So, I’m asking my Run Stronger Every Day community to help. There are a lot of ways you can help Jen’s family. You can donate directly to Jen’s family. 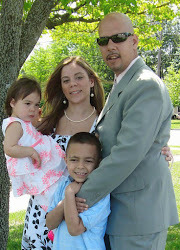 You can buy something on the Target registry Ashley created to help Jen & Pedro rebuild their home. If you are in NYC, you can drop linens, kitchen supplies, household supplies, and clothes at my apartment until Tuesday (tomorrow) night. A car is going down on Wednesday with what we collect. Email me: runstrongereveryday@gmail.com for details and sizes. 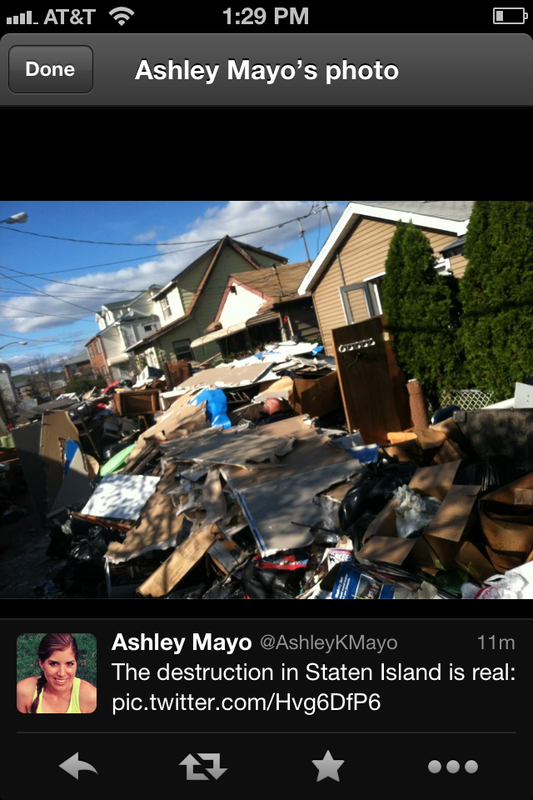 One family at a time, we will rebuild after Sandy. Do what you can. Give what you can of your time, talent, and resources. Thank you for your thoughts and prayers during this difficult time for so many. JB and I are lucky that we have our home and each other and we will never forget that. 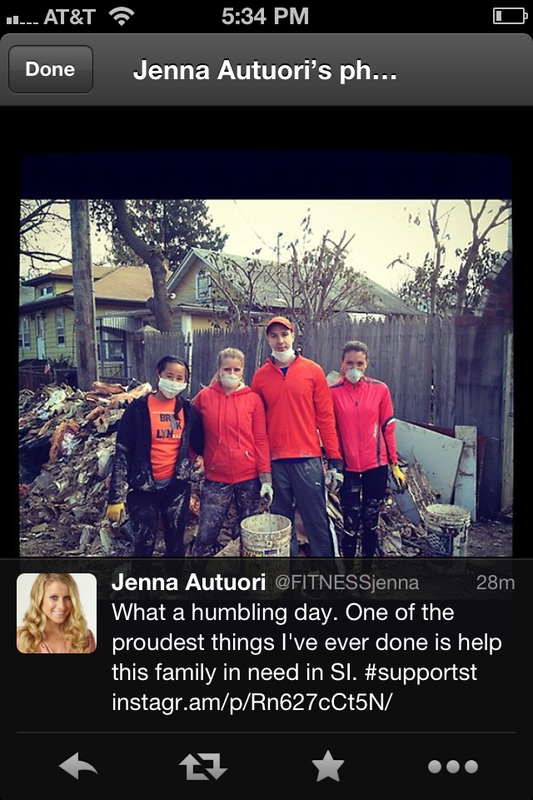 Going to Staten Island on Sunday was such a humbling and eye-opening experience. Everything else now seems so insignificant after seeing the damage from Hurricane Sandy firsthand and watching families slowly work to rebuild their lives. Keeping those families and Jen in my thoughts and prayers. The pictures you have posted on this post and your last one are heartbreaking! 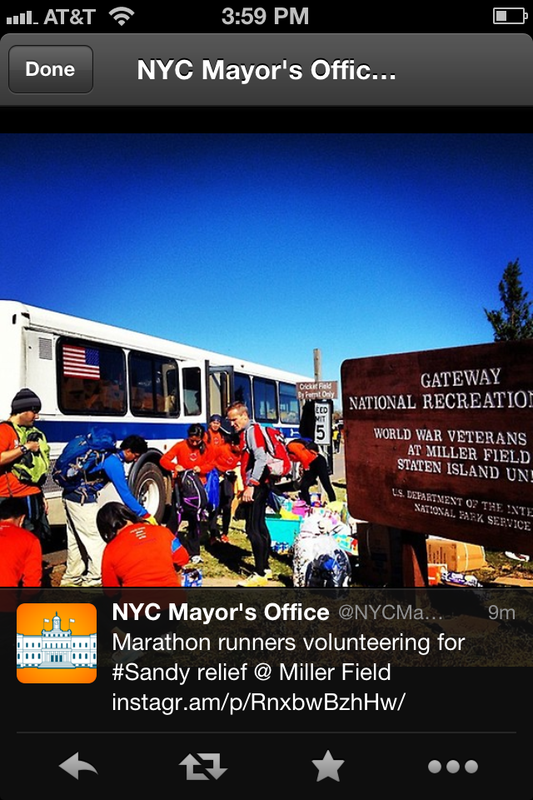 But thanks for sharing the story about the marathon runners assisting those in need in place of running their race. It’s such an inspirational story. My prayers remain with those in need during this sad time! Looking back at this today. I want to give out hugs right now.